Bay Area percussionist Ian Dogole’s mission is clear: to follow the trail of easy-going, world-colored jazz established by groups like Oregon. 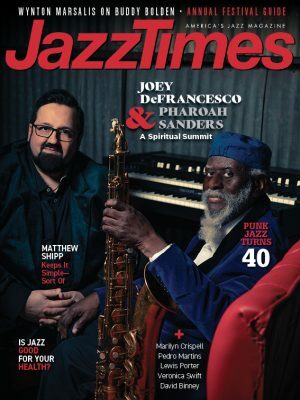 To that end, he steers clear of a drum kit, per se, preferring sundry ethnic percussion instruments (mostly hand drums), and also leans on Oregon’s Paul McCandless to supply melodic logic and bassist/bamboo flutist Bill Douglass to anchor the core trio. 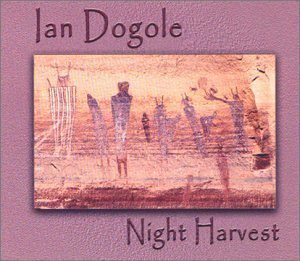 In the interest of living up to the global-fusion concept on his new album, Night Harvest (Global Fusion), and to state the case for jazz’s mutability, Dogole opens with a version of McCoy Tyner’s “Message From the Nile,” fitted with an apt lyric written and sung by Nubian master Hamza el Din. Later, we hear Monk’s jubilant “Bemsha Swing” with four horns and bass bouncing atop Dogole’s rhythmic pulse on just the Peruvian cajon, a fresh approach. Along the way, Dogole’s originals pay tribute to subjects as disparate as Orca whales, Wilt Chamberlain and the rippling charms of the mbira.